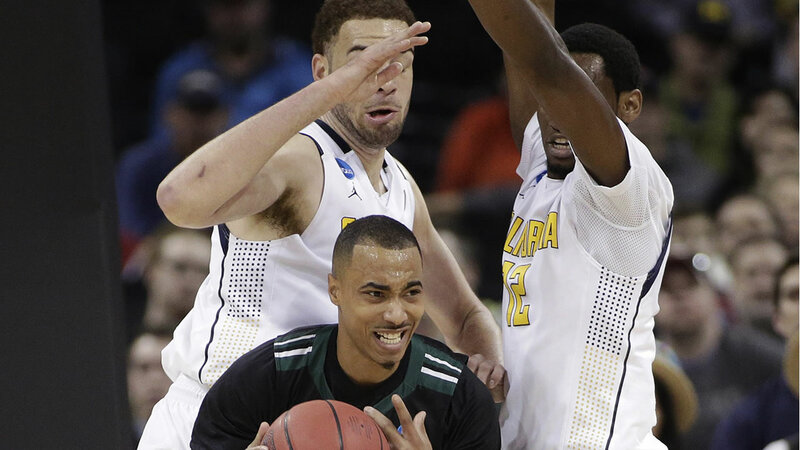 SPOKANE, Wash. (KGO) -- Hawaii upset the California Golden Bears with a 77-66 win in the first round of the NCAA tournament in Spokane, Washington. Going into the game, Hawaii was ranked #13 and Cal was ranked #4. Click here for the latest stories and videos about the California Golden Bears. Minus Wallace & Brown, #cal is in trouble, down 36-30 to #hawaiibasketball at half. Jankovic 10pts.